Successfully Added Inspire - Quadband Touchscreen Dual-SIM Cellphone + DVB-T to your Shopping Cart. Enjoy crystal clear DVB-T digital television right on your cellphone. Have you ever wanted to watch digital TV on your mobile phone? Well the dream of watching TV on your cell phone is now a reality! That’s because the Inspire cellphone plays crystal clear digital TV in the DVB-T format used widely throughout Europe, Africa, Australia and Asia. So now you can enjoy full-screen sports, news, weather, and your favorite shows in high definition, all from the palm of your hand. This quadband touchscreen cellphone also comes with all of today’s must-have features. Highlights include: multimedia MP3/MP4 player, mini SD slot, hands free Bluetooth communication, FM radio and worldwide GSM connectivity! The Inspire also features two SIM card slots, allowing you to use two active phone numbers in one phone! This is the perfect solution for business people or travelers on the go. When most phones would have ended their feature list here, the Inspire continues to amaze us with its array of useful features. Additional features include: GPRS/WAP internet access, dual video/picture camera, sound recorder, FM radio, Java, EBook reader, loud built in speaker and MSN chat for staying connected with all your online buddies. This phone really has it all. If you looking for an unlocked (can use with any GSM service provider) world phone with a powerful DVB-T receiver and all your favorite multimedia features, then look no further than the Inspire. Order now at our unbeatable factory direct wholesale price and we’ll ship your order out within 24 hours and even include our full 12 month warranty. The Inspire is available in single piece or bulk discount orders. Does this cell phone have digital TV or analog TV? This phone has digital TV. It does not have analog TV. Will this digital TV phone work in the USA? No, USA digital frequencies are broadcast in the ATSC format and not DVB-T.
Can I use this DVB-T Phone in my country? DVB-T is available in many countries. Check to make sure you can use this in your countryhere. Do I need a subscription to watch digital TV? No subscription is required to enjoy digital TV on this phone. Do I have to pay anything to use Windows Live Messenger (MSN) on this phone? Windows Live Messenger itself is completely free to setup and use. You can even sign up for free through the phone! You must access Live Messenger through your data account. Contact your phone service provider for information on possible charges. Does the phone come with a prepaid SIM card or on contract? No, this phone does not come with a prepaid card. The phone is contract-free, it is fully unlocked so it can work on any network you choose. Does this phone have my language? The phone comes with the languages listed above. If you need any other language and plan to order a large quantity (300+ pieces) then we may be able to supply this model with your choice of language(s). Does the phone work in Spain and Portugal? Yes, the call and receive functions of this quad Band phone work in Spain and Portugal. For the DVB-T Digital TV function, Portugal currently has an experimental Digital TV service using MPEG-4 while Spain provides a full Digital TV broadcast service. Does this mobile phone come with wifi (wireless internet connection)? With this touchscreen phone, you can connect to the internet using WAP, although this is dependent on the data plan you have with your carrier. 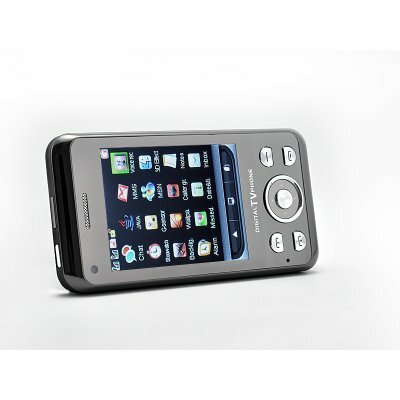 The Inspire Quadband Cellphone is, overall, a value purchase. It's easy enough to figure out and I've only had mine for 3 days. Considering the price, there's a good many impressive features, a SD card and 2 batteries as described above included, making it definitely a worthwhile purchase. The sound quality is quite good and loud, and the touch screen is fairly receptive although the stylus makes for a less clumsy and faster operation, overall. The colour intensity of the screen icons and pages are reasonable.